Looking for the perfect monitor? Choose the best all-around IPS Panel Technology guaranteeing perfect colour reproduction with wide viewing angles. 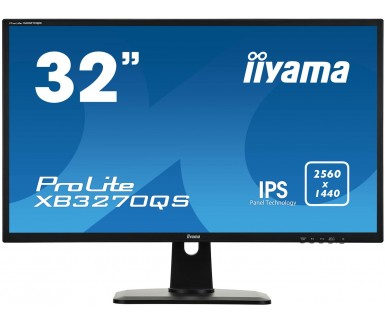 Meeting the demands of both graphic design and the modern work place, the 32” XB3270QS with a high WQHD resolution offers the perfect solution for productivity, design and data analysis. The height-adjustable stand ensures you can adjust the screen position to your preferences, and the flicker-free panel with blue light reducer function reduces eye fatigue. This high-end feature-rich panel is the new hallmark of the discerning user across many sectors.